I am a doctor, a gynaecologist by profession and work as a senior consultant in BLK super speciality hospital, New Delhi. At other times I am a reader, writer, thinker and dreamer. My dual role of a doctor-author is something which I value a lot and is very close to my heart. I come from a humble background and had a slightly nomadic childhood. My father’s work took us all over India. I still carry the rich and versatile experience of our diverse country and its amazing culture and staying at the historical monuments during our holiday trips. My first introduction to the likes of Shakespeare and other literary giant was over animated discussions over the dining table at home. I grew up in an environment surrounded by books , music and movies. My favourite pastime was leafing through the newspaper for the ‘daily quotes’, and jotting them down in my diaries. I was never a tomboy, rather loved playing with the dolls or singing the national anthem perched up against the guava tree, amongst all the songs they taught at school. Those were the days! I love to indulge myself at the roadside chaat wala, my favourite food joint. I can easily trade places to be at the golgappa wala anytime. Just like life, I love to have my food all spiced up. The only regret I have is that I was never sporty, a price I paid later in life. Medicine was never my first choice. I am an ‘accidental doctor’. I always wanted to graduate from IIT and later join the civil services. But destiny had different plans for me. I am married to a paediatric intensivist, and am a full-time mother to two teen-aged boys. Pursuing my passion and profession together, is akin to constantly living on the edge. And when I am neither writing nor in the hospital, I love to listen to music, read books, or spend some idle time with my family. I get troubled by the social bigotry that exists in the society and I fight against anything and everything that is sexist or gender insensitive. There are two sections of society that I am passionate about. Women and doctors! They both suffer from stereotypes and are expected to conform to certain standards. I like to write about the reality these two sections live every day and the truth that breathes behind the closed sanitized walls of a hospital. Social injustice, corrupt politics, and unfair practices always make me raise my voice. When I look at the world today I find it frightening that we are moving away from the legacy of our past, forgetting our real heroes into an alien world where there are no idols. I did my MBBS and MS (Obst & Gynae) both from GRMC, Gwalior and thereafter moved to Delhi. Having worked in both government and later private hospitals in Delhi I’ve had a close brush with both the worlds. If obstetrics me perseverance and that life can be most unpredictable, it is surgery that teaches me patience and continues to fascinate and transform my imagination. Observing and interacting with people is one of my favourite pastimes. Reaching out to people and inspiring them through my writings is my way of giving back something to the beautiful world that we live in. I learned the value of healthy eating and physical exercise when I lost my mother. This was the same time when I too battled with early-onset diabetes and realized the havoc an unhealthy lifestyle can cause to our lives. Now an ardent swimmer and a fitness freak, I educate people about the value of exercising and leading a healthy life. I try to make them aware of the impact of stress and lifestyle on our lives and the burden of non-communicable and lifestyle diseases that even a poor country like ours’ reels from. What has been your writing journey so far? I have been dabbling with both prose and poetry. My literary avatar started with ‘Dewdrops…a journey begins’, a collection of poems which was adjudged the best anthology in English poetry (2015) by ‘Aagman’ literary group and moved ahead with her next volume, ‘Shadows of a fading twilight’. In my first book as an author, Chronicles of a Gynaecologist (2016) which was based on real-life experiences, I tried to decipher the conundrum of a woman’s life at every step. 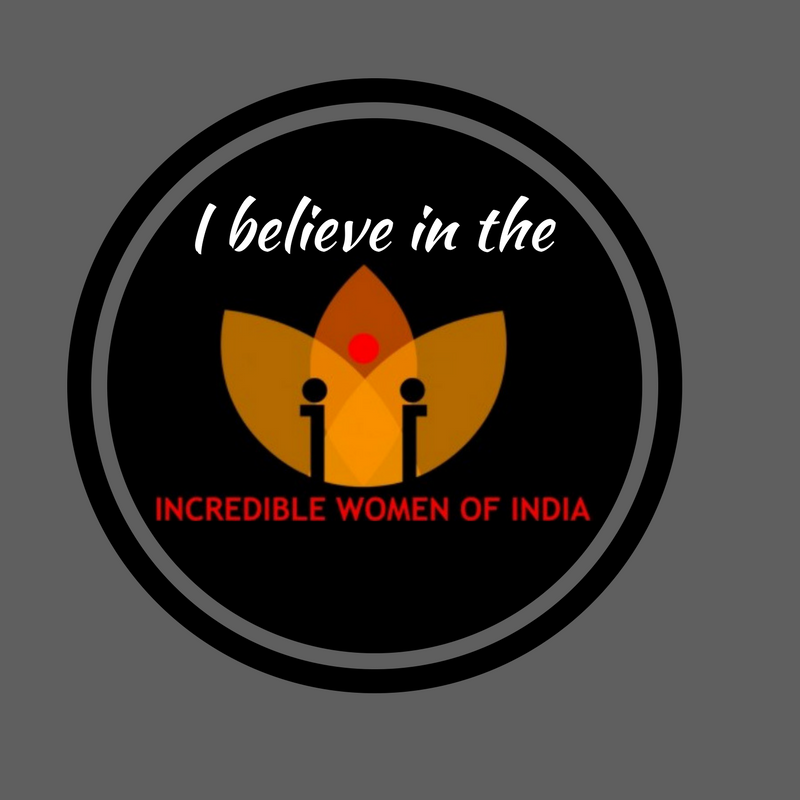 Apart from writing for everylifecounts.ndtv.com and TheBetterIndia, where I showcase the myriad issues that plague women, I am also a blogger with webzines and contribute to anthologies and publications. I recently came up with another autobiographical book ‘House of Doctors’ that traces the arduous yet exciting journey of a medical student offering insights into all that goes behind making of a doctor. Apart from that my profession keeps adding stories for the Chronicles of a Gynecologist Part 2. One day I dream of writing something along the lines of Eric Segal’s ‘Doctors’. And in between, I write poems to rejuvenate my soul. Writing makes my world happier and more spiritual. I am currently working on my next book ‘Anecdotes of a Medico’ and another volume of poems ‘Radha’. My tryst with literature continues. Why does Tripti do it? I like to give a broad perspective on the factors that interplay in the professional career of a doctor, making a bridge between the medical and the non-medical world. My mission is almost accomplished when someone writes to me that ‘they never knew doctors could feel like this, or that this has changed the way they perceived the doctors’. An empowered woman is the face of a healthy civilization and I strive to empower women by promoting health and awareness. I love to hover over every facet of life, drawing inspiration to write. There is a subtle romance in nature and I have always been intrigued and inspired by it. I have always been fascinated by mythology right from my days of ‘Amar Chitra Katha’ as a child. Between the seen and unseen, heard and unheard, mythology breathes rich metaphors, tantalizing the imagination, exploring unknown dimensions. Female protagonists in Indian mythology have at times amazed and at times shocked the ‘feminist’ inside me. It has forced me to go beyond the obvious and acknowledge the ambiguous and I have tried to explore this in my upcoming book about ‘Radha”. How far has Tripti come? I was recently conferred ‘Global Youth Icon Award 2018’ by Writers Capital Foundation for my work in literature and in serving humanity. I was also adjudged as the most ‘Inspiring Gynaecologist of north India 2018’ by Economic Times, health world. Every day, every patient that I see and every surgery that I do teaches me something beyond medicine and I continue to stretch my limits because only then I shall discover the limitless. Where does Tripti wish to be in a few years from now? I would love to be in a space where I can use my profession to fulfill my passion. I would love to work for the underprivileged and contribute to ‘safe motherhood’ despite my compulsions of working in a corporate setup and the necessity of earning my living. Whom does Tripti look up to? We live in a world today that seriously lacks idols. The only way forward is to look within and set goals for yourself and keep improving. The only people I look up to are my parents. Their gentleness and simplicity is unmatched and amazes me. Another set of people who fill me with a lot of awe are our freedom fighters. I envy their courage and zeal in fighting against the mighty British empire. Their sacrifice shall remain supreme and if I live long enough to be in a time machine, these are the people I would first go back to meet. What advice does Tripti have for our readers? We live in an era of changing social and moral values. But I seriously believe that ‘modernity doesn’t come with looks, relationships or the dresses we wear but the thoughts and essence we carry as independent, assertive and self-respecting woman’. I also believe that a vibrant woman is the face of a happy civilization. A disillusioned one is an important resource lost to the country. It’s very important for the women, the homemaker to be happy and find her own identity. Where can we find Tripti? If you do not find ‘Tripti’ seeing patients, delivering their bundle of joy into their arms, you can find her brooding over a cup of tea, a hot samosa and a book! Very nice expression.One thing is special about you ,You enjoy every moment of life whether it is family function or your Social Life.